The ginseng ultrafine powder were applied for producting yogurt, analyzed the parameters within the storage period experiments including pH value, viscosity, quality and structure, probiotics change during the preservation period. The microbial indicators meet the national standard production, the total number of e. coli colonies in the course of 8 weeks from beginning to end were 0 CFU/mL. The fourth week, yeast and mold colony total were 0 CFU/mL, at eighth weeks mold colony were 3 CFU/m, yeast colonies were 2 CFU/mL. 黎阳, 张铁军, 刘素香, 陈常青. 人参化学成分和药理研究进展[J]. 中草药, 2009, 40(01): 164-166. 曹智, 张燕娣, 许永华, 张爱华, 张连学. 人参有效成分及其药理作用研究新进展[J]. 人参研究, 2012(02): 39-43. 王楠. 我国已获批准的国产保健食品及居民使用情况研究[D]: [硕士研究生论文]. 济南: 山东大学, 2009. Kang, K.S., Yokozawa, T., Kim, H.Y. and Park, J.H. (2006) Study on the Nitric Oxide Scavenging Effects of Ginseng and Its Compounds. Agriculture Food Chemistry, 54, 2558-2562. 雷秀娟, 冯凯, 孙立伟. 人参皂苷抗衰老机制的研究进展[J]. 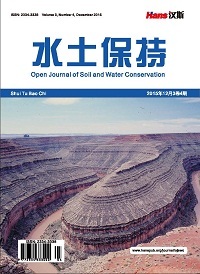 氨基酸和生物资源, 2010, 32(01): 44-47. 杨明, 崔志勇, 王岩. 人参多糖降血糖和肝糖原作用的研究[J]. 中药药理与临床, 1991, 7(05): 22-24. 赵俊, 吴宏, 王亚平. 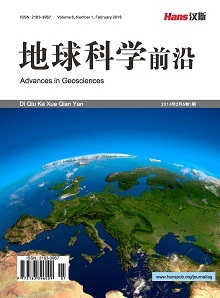 人参多糖的化学与药理学研究进展[J]. 国外医学(中医中药分册), 2004, 26(02): 79-81. 邹立华, 张英艳, 姚月梅. 发酵人参果汁抑菌作用试验研究[J]. 中医药学报, 2002, 30(03): 34-35. García-Pere, F.J., Lario, Y. and Fernández-Lopez, J. (2005) Effect of Orange Fiber Addition on Yogurt Color during Fermentation and Cold Storage. Color Research & Application, 30, 457-463. 孙广仁, 赵闻琪, 赵洪南, 王爽. 多菌种发酵人参酒及皂苷转化的分析[J]. 食品科学, 2011, 32(23): 234-239. 吴琼, 陈丽娜, 王晶, 陈婉君, 王君旸, 王冰聪. 人参多糖发酵乳饮料的生产工艺及质构分析[J]. 食品科技, 2015, 40(10): 15-17. 支明玉. 超微绿茶粉酸奶的制造工艺研究[D]: [硕士研究生论文]. 杭州: 浙江工业大学, 2009. 李祥. 功能性乳品饮料的市场趋势及其机遇[J]. 食品工程, 2008(03): 26-27. Aportela-Palacios, A., Sosa-Morales, M.E. and Velez-Ruiz, J.F. (2005) Rheological and Physicochemical Behavior of Fortified Yogurt with Fiber and Calcium. Journal of Texture Studies, 36, 333-349.